Now’s the time to stop relying on physician referrals and start getting paid what you’re worth…no matter what the insurance companies say! Keep Reading And Discover How You Can Remove The Worries In Your Physical Therapy Practice With These Turnkey Systems That Were Instrumental In Helping Me Build A Cash-Only Practice With 4 Locations And 13 Employees. If you’re looking for a constant stream of new patients ready to pay for your PT services with cash without relying on physician referrals, then this message will cut to the chase and give you the answers you’re looking for. I’m about to show you simple “low-tech” ways you can summon a FLOOD of patients as soon as tomorrow. My name is Paul Gough and I used to be like you. I was frustrated that I was getting “beat up” by insurance companies who didn’t want to settle bills or pay me the fees I deserved. I was also tired of constantly battling physicians who were in bed with the big hospitals that had HUGE marketing budgets. I wanted to start attracting my OWN patients who were ready to pay with cash, but it seemed like a pipe dream. That is, until I discovered several “off-mainstream” methods for attracting cash-in-hand patients that didn’t require technical know-how. Nowadays, I’m a “cash-only” practice. This allows me to raise my prices and be in control of my physical therapy practice—and it was instrumental in allowing me to create a prestigious $1.7M dollar (and rising) “self-built” Physical Therapy Practice which operates in 4 different towns with 13 employees. Best part: I was able to do this in the United Kingdom – a place that offers all residents a government-funded (almost socialist), COMPLETELY FREE alternative to what I do. So I know these strategies will work anywhere in the world...including the U.S.
There’s a whole bunch of patients who are paying for PT services with cash. They’re skipping the physician referral headaches or are paying higher deductibles. The problem is that reaching out to these patients is very different than it was in the good old days of lucrative insurance plans. This is a HUGE opportunity to finally escape “big insurance” that is controlling the money you’re able to make as a physical therapist. But you must update your own tactics in order to get this pocket of people. You’ll also be able to raise your prices and insist that everybody pays cash. You’ll be able to take more control, have more time off, and enjoy more bottom-line net profits. These strategies have allowed me to travel the world and spend time with my family—including my 1-year-old son, Harry. In fact, I used to get ridiculed for daring to “go it alone” and ask for cash from all my patients. Blame the physicians who are not referring to your clinic regularly enough. Blame the declining insurance reimbursements that mean more work for the same, or less, money paid to you. Blame the “gurus” who are teaching outdated or inaccurate strategies—or have never been a PT themselves. How To Compel MORE Prospective New Patients To Inquire About YOU Online, To Pick Up The Phone And Call YOU, Or To Walk Through YOUR Clinic Doors. 7 Low-Tech Ways To Get More Cash Patients are simple, affordable, low-tech and creative ways to siphon more patients to your physical therapy practice. Just one of these 7 tactics could lead to a huge profit windfall for you. Because, if you’re honest with yourself, you’re probably not employing these tactics to the fullest extent now. Remember this: despite the success that I’ve had helping physical therapists in the USA - I’m NOT a professional business mentor, a “guru”, or a consultant of any sorts. No, I’m a regular “small town” physical therapist who just happens to know a LOT about finding tons of ideal patients and making the clinics of PT’s more profitable AND easier to run. You’ll get huge representations of these tactics when you take action and invest in 7 Low-Tech Ways To Get More Cash Patients today. What NEVER to ask your potential patients – many clinics do this and it will literally chase patients away. The secret to turning even the biggest PT Skeptics into ideal patients – they’ll come to your clinic in droves. How to expertly handle questions about your prices so that you don’t waste too much time with people who are just “low-price shopping”. 3 mistakes you must NOT make or you’ll be leaving money on the table. How to maintain your authority and expert status with your current and future patients so they continue to see the value in your services. Get your future patients to come to you and ASK for your help – this is the key to generating a constant stream of new patients without a lot of additional work on your part. The secret to not “disappearing” to those who walk or drive past your clinic frequently – keep them noticing you and interested in doing business with you. 5 “multiple action pathways” for people to get in touch with you – do this and you will see new patients faster. 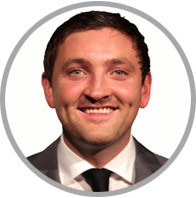 How to appear less “salesy” so your clients and patients feel more in control of the decision making process. Why pain isn’t always a good enough reason to visit your clinic – most PT clinics get this wrong and they’re missing out on big profits! How to easily raise your prices without resistance – there is a specific way to do this and you’ll be seeing more money without more work. One super-secret to build in specialism for your different types of clients and patients – this will really speak to them so they know that you’re the right PT for them. How to reduce “buyer’s regret” quickly and easily by using powerful first impression techniques. How using call-tracking metrics can help you target your marketing efforts to the most responsive and lucrative patients – don’t waste your precious ad dollars on dud patients. Uncover how to get FREE advertising in your local newspaper or magazines – it’s like getting free money! How to quickly and easily gather patient feedback and testimonials – do this and you’ll be amazed at how this proof will increase your profits. A simple, affordable tool that you can use to automate and track testimonials – never beg patients to write a testimonial again. Is the person teaching the strategies credible? Are they actually doing the strategies themselves? Are the strategies easy to implement, and not just “theory”? I’m nothing like any of those overpaid “consultants” or “gurus” who fish around physical therapists using their clever sales tactics to sell a “theory” of what should work but rarely ever does. You know, there’s nothing that bugs me more than someone who tells me how to run my PT business, but has never been a PT themselves! Rest assured that the strategies you’ll get when you invest in 7 Low-Tech Ways To Get More Cash Patients works right now. These aren’t outdated or outmoded strategies taught by some marketing “gurus” who haven’t run a PT practice themselves or stopped running one years ago. And the best part is I started out with nothing. I didn’t get any outside funding or backing to launch it, nor did I get it handed to me on a silver platter via an inheritance. That means you’re no longer alone. I used to struggle too, until I discovered a few tips, tricks, and tactics you can implement as soon as tomorrow. I know what it takes to get to where you want to go - no matter where you might be starting out from. Here’s how it works. 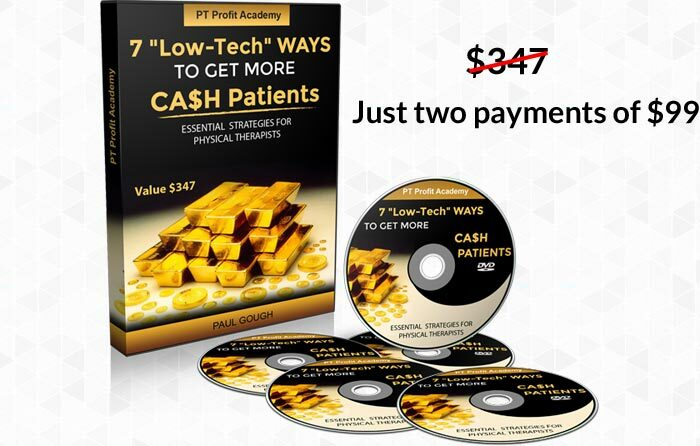 Take action and purchase 7 Low-Tech Ways To Get More Cash Patients and put the strategies to use in your own physical therapy practice. If you don’t get just one extra patient you wouldn’t otherwise have gotten thanks to these strategies, just send me an email using paul@paulgough.com and I’ll gladly refund your money. Best part: you have 60 days to test these strategies. Just one is bound to give you a profit windfall that could resolve the worries you’re having in your physical therapy practice. And the best part is I’m making it extremely easy for you to get your investment back by just charging $347 $197 for 7 Low-Tech Ways To Get More Cash Patients. 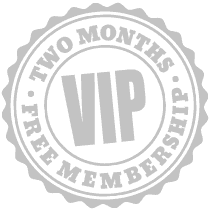 Just think about: for a couple weeks’ worth of coffee or 2 months’ worth of cable or satellite television, you can own tools that could explode your physical therapy practice. Remember, just 1 or 2 patients is all you need to get your investment back. 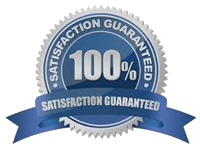 In fact, with just 1 or 2 of these tactics, you could get 100x your investment back and more! So, in reality, this course doesn’t “cost” anything. It’s an investment in your future wealth and prosperity. Would you be spending more time with your kids? Spending more time with your beloved? Taking that vacation to Europe or Hawaii you always wanted? How about giving money to charities and special causes you feel passionate about? Or how about being able to take an afternoon off just to go to the park or “goof off” for a change. I want you to stop and really think about this. Now think about how ticked off you are that you cannot enjoy any of these things because you’re beholden to your practice. How bad do you feel that you’re NOT doing whatever you wish right now? Now think about how demoralizing it is to try to grow your practice when doctors aren’t referring enough patients, big corporate hospitals are dominating your town, and insurance companies are cutting reimbursements. Perhaps you’ve resigned to yourself that “this is as good as it gets.” And maybe you’re questioning why you got into business in the first place and are starting to question your future…your status is slipping and you wonder if you’ll ever recover. 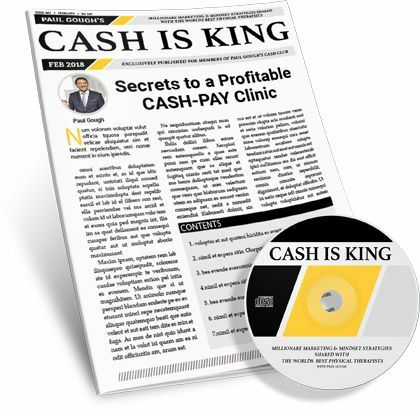 …until they discovered my predictable, “under the table” strategies for getting cash-paying patients to do business with them at any price they demand with no sales resistance. The truth is that thousands of physical therapists are using these tougher times as an opportunity. Your smaller size compared to the big hospitals is an advantage because you’ll be able to use tactics they’ll never consider. While other PTs are sticking their heads in the sand waiting to “ride out the storm”, there’s a new breed of physical therapists who get paid cash up front for their services and are “picking off patients” who want to go directly to a physical therapist to avoid physician referral headaches. 7 Low-Tech Ways To Get More Cash Patients will show you how to do this. These are strategies you can use as soon as today to book yourself solid with cash-paying patients. You can be passive and let insurance companies govern how much you get paid. And you can keep relying on unpredictable physician referrals. You can finally take control and “one-up” your competition by attracting patients to your practice thanks to these 7 low-tech ways to get more patients to your practice. There’s no way you can make a mistake. If these tactics don’t work for you, then you don’t have to pay. Be prepared to get a huge influx of patients that’ll allow you to boost your income, take more time off, and feel more control and certainty in your practice. And make worries about low physician referrals, declining insurance reimbursements, and “big corporate hospitals” a thing of the past. P.S. One tactic I want to share allowed me to make over $107,000 in just 5 months without using a computer, having to set up a website, or spend thousands of dollars on advertising. If you do this right, you could bring in 10-12 cash-paying clients per week. Now’s the time to stop relying on physician referrals and insurance headaches. Order 7 Low-Tech Ways To Get More Cash Patients today.